Probably the most simple & frequent thing we do with Amelia is to pick a park, any park & visit it with a picnic. This works with your local park but is obviously more exciting to your little angels when it's a park they haven't been to before. If we have to be in a different area for whatever reason i go to that areas local councils website & click on the parks section where it lists all the parks in the area. We visit small parks with just a handful of equipment to larger ones with outdoor water play, animal sections & more. Our favourite is East Park in Hull but no matter where we are in the country a quick internet search throws up all types of gems. Tip - Raid your cupboards & make a picnic or if your visit is an impromptu one then google your nearest supermarket(Lidl & Aldi are winners here) & grab some bits & bobs to munch. Tip - Keep items like a blow up ball, kite, frisbee in the boot of your car so that you have extra games to play. I find Poundland fantastic for beach/park games. GEO-whating! Yep thats what i thought the first time i saw THAT <-- word. Geocaching is a fab activity which is like a modern day treasure hunt. The object is to follow clues on the geocaching website to find where the treasure is hidden. You enter your postcode & it shows you your nearest ones, you pick one & away you go. Each geocache is different & we love this activity to while away a few hours & get some fresh air. Tip - Take a back pack with some snacks, water & waterproof jacket as you may be out longer than you think & can never rely on the British weather. Tip - Take an unwanted tiny toy as sometimes you can take a toy from the geocache but they ask that you replace with another. The kids love this! If you are fortunate enough to live close to a beach then this is a full day out that costs zero, zilch, nada. Again picnics are your friend here & those poundland beach toys are invaluable. Check with the beach you are visiting for free events. For example, our local beach is holding a family beach games day. A day full of different games for all the family for FREE. Our favourite beach is Filey as we can park our car at Glen Gardens(Another of our favourite parks) have our picnic while Amelia plays on the park & then dump everything back in the car, grab the beach essentials & walk down the hill to the beach. Tip - Regardless of how the day looks when you set off, lather your young ones in sun cream & take it with you in case they have a dip in the sea & need it reapplying. Even on a cloudy day the sun can still burn their precious skin. We love Wilkos SPF50 Green spray as it has a 5 star UVA rating & you can see where you have applied it & its only £3.50! If you check in your child's school book bag you will usually find a booklet packed with FREE & low cost activities that are generally ran by your local council. I sit with Amelia at the beginning of the holidays & let her tick the things she'd like to do. I then enter the dates, times, activity & cost into my phone & Filofax & set reminders. Now i'm not saying we do every single one of her chosen activities but it is great to know i have options & there are some really great activities. Tip - Some of the activities will need to be booked in advance so be sure to book those that say this asap to avoid disappointment. Haha, no i'm not saying sit your child down with a pile of free supermarket mags but have you ever picked these up & looked inside? 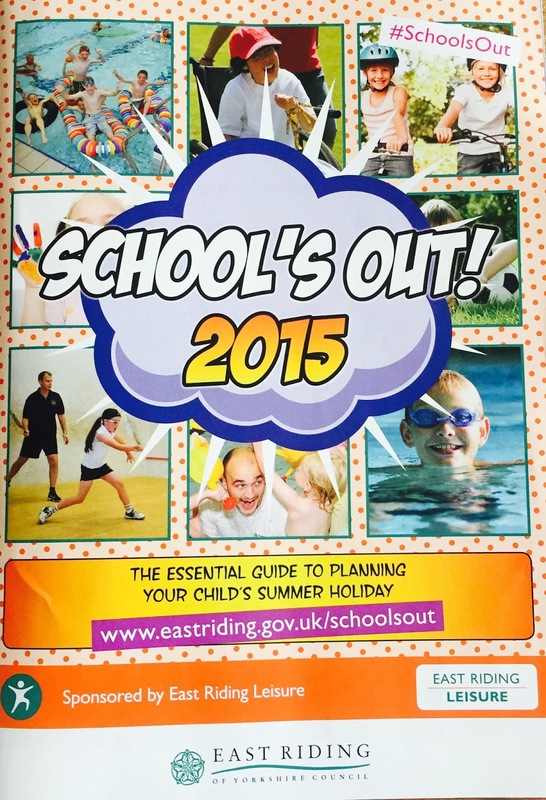 The issue that comes out for the Summer holidays can be awesome! 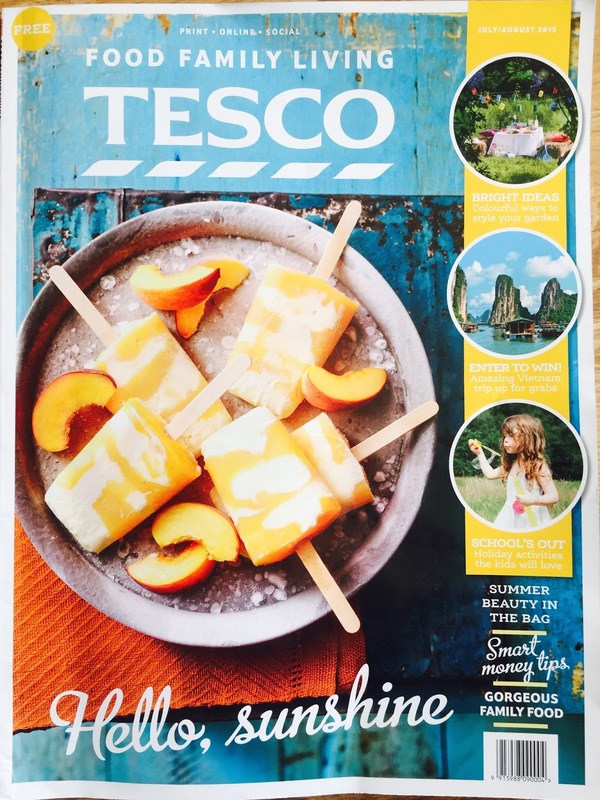 I grabbed the Tesco one recently & it had a fantastic section entitled SUMMER CLUB within its pages. It has tonnes of inspiration to keep the kids busy over the holidays, mostly things you do at home which is great if you find it harder to get out & about with them. We have already built a fort & done a garden treasure hunt with had written clues(i even made them rhyme!) & small toys to hide around the garden. These two ideas kept Amelia entertained for over an hour & cost nothing but a little time & effort on my part. Tip - Grab all the free magazines NOW as it will be these issues that concentrate on the school holidays. They also have great recipes that are suitable for your picnics! 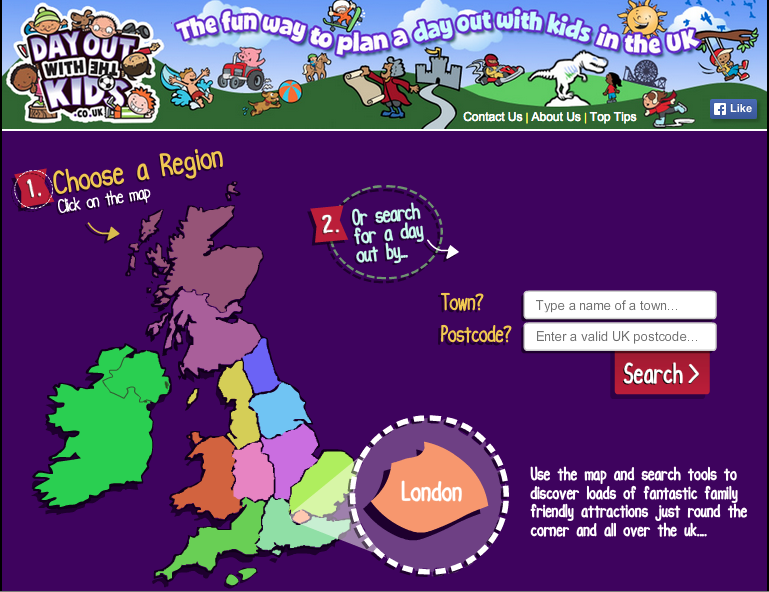 Day out with the kids is a website i have used for many many years. It is a wealth of knowledge about anything & everything to do with your little ones up & down the country. It gives postcodes, telephone numbers to venues & a little write up on each place/activity. This website is especially great if visiting family in a different area & don't know whats available. Tip - Sort by area & type of activity to narrow down your search to whats suitable for you. So they are all of my tips to have a fun & affordable Summer with your brood. I hope you found some of these tips helpful & that you have a fab Summer & make lots of memories. Just remember, a child does not remember the money you spent on them, but will always remember the time you spent with them & i am a big advocate of this. I would love to know what you have done already & what you are planning to do with the rest of the holidays. Please tell me below & you might give me & the other readers some ideas too.